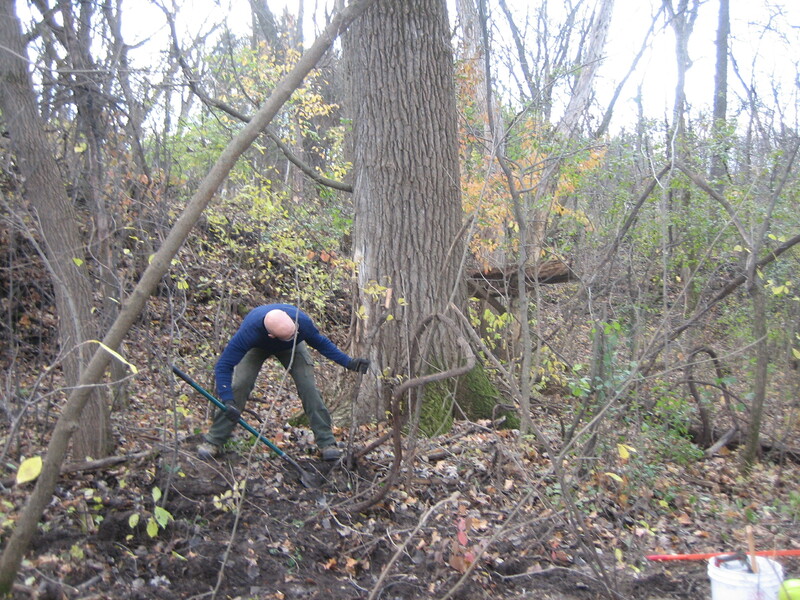 Today’s volunteer day was about removing buckthorn, in the sunny pleasant daylight following a heavy rain. A mass of shrubbery has now become a beautiful open space. 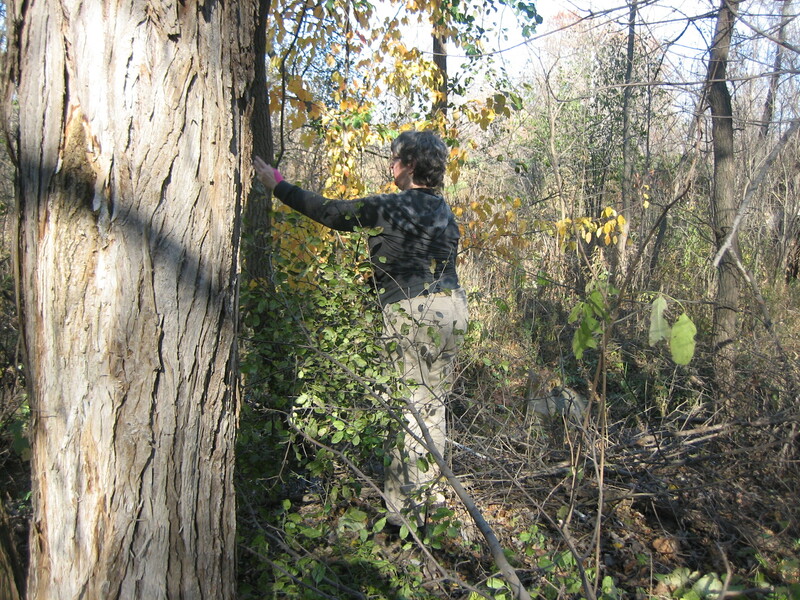 Looking at our feet, we find that there are a lot of sugar maples here – small, completely overwhelmed by the buckthorn, soon to grow in the open space. Donna and I joined Roy, who has been working on this during the past two weeks (since the last volunteer day) when he isn’t working on the culvert repair (photos later). 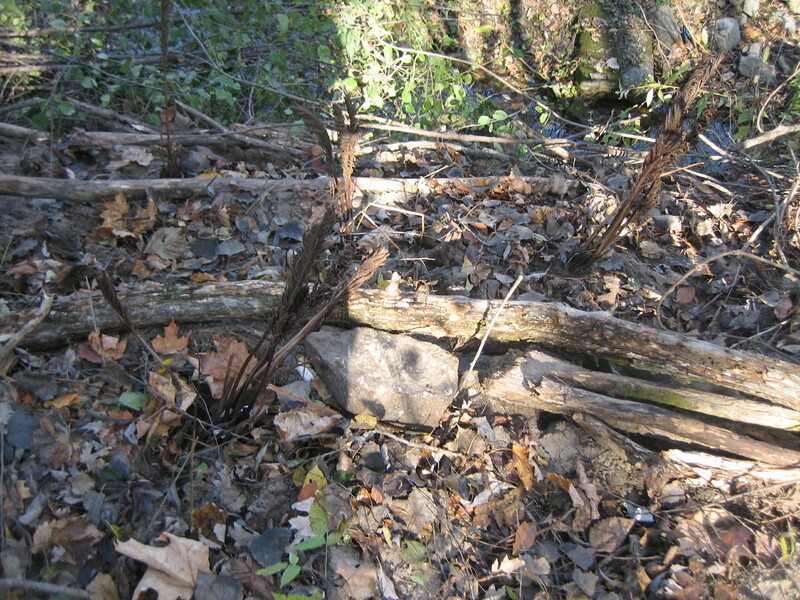 We planted ferns (given by Jayne) to stabilize the creek bank. 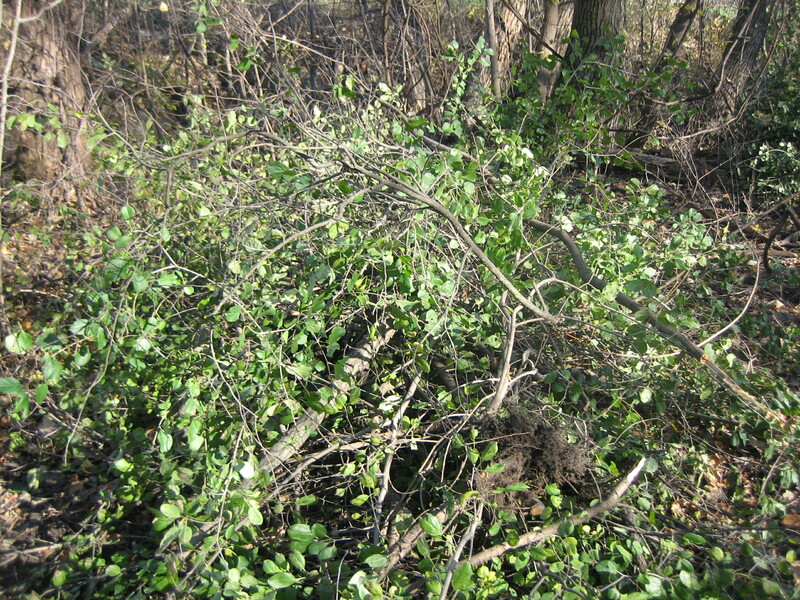 Of course there are piles of buckthorn, which becomes wildlife habitat, erosion protection, and possible source of wood for carving or fires. 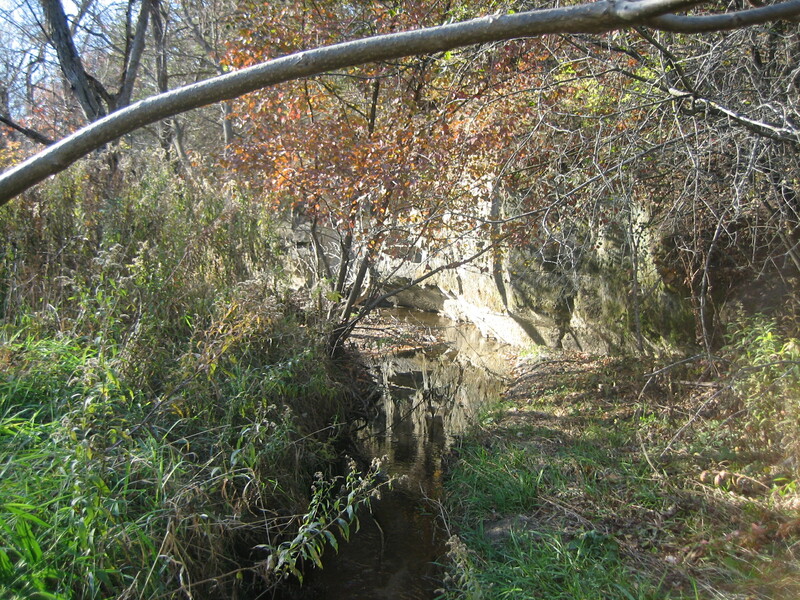 This area is right near the bluffs at the big stream. We look forward to adding native plants and creating a pleasant sitting/walking outdoor area. 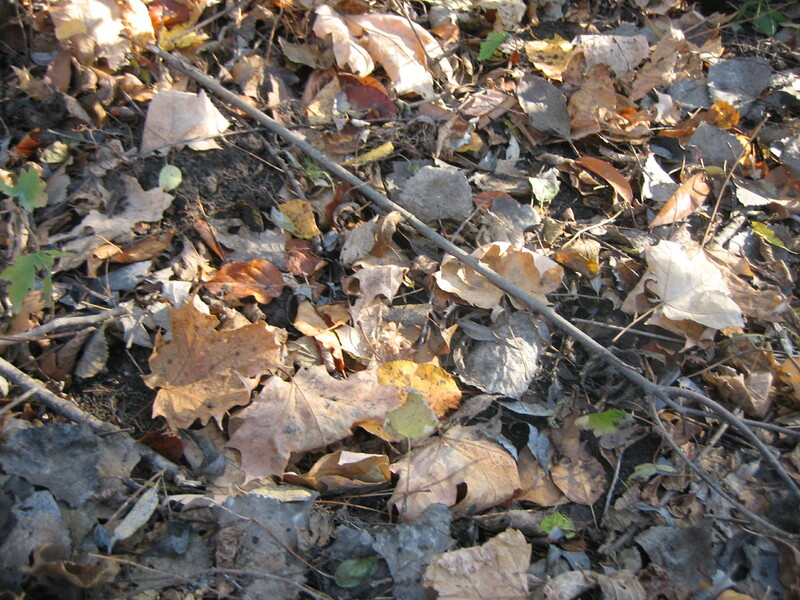 It had literally been hidden under the buckthorn – a solid mass. 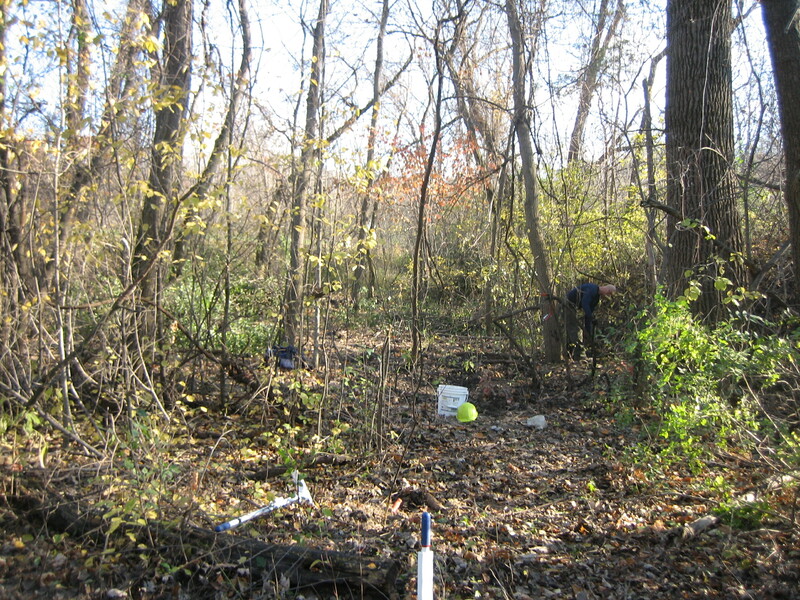 There are still many similar areas to address, but probably it will be next spring when we have another buckthorn work day. It feels good to be doing this land care, watching spaces open up, using our bodies in the last of the fall. The strangeness of pulling up a species to let individual plants die – balanced with making space for others that were crowded out, restoring health and wholeness to the land, inviting myriads of species to live here instead of one. It does, sadly, remind one of human beings. Civilized humans are better in seeing the invasive behavior of others than seeing our own. Here, we aspire to stop being the one species that destroys all the rest, and to return to our place in the whole. Humans have lived this way in the past, for most of human history. Re-learning it is a key part of what Mountains and Waters means. Blessings to you all. Visitors are welcome.